As a window professional, your time and attention are usually spent working in your business: finding new products, talking with customers, and completing contracted work. Working on your website is about at the bottom of your list of daily tasks. You know having a website is important. Everyone’s online these days, and if you don’t have a website, you may be missing out on potential customers. But is it enough anymore to just put up a website and leave it at that, waiting for the customers to come find you? To stay on top of search engines - and gain more visitors and potential customers as a result - you need to spend consistent time working on your website, making sure the things it says align with the needs of your customers. This work is called search engine optimization (SEO), a catch-all term for a wide variety of individual tasks that improve your website’s visibility in the search engines and, in turn, bring you more new business. Maybe you’ve heard of SEO before, but don’t understand everything that’s involved or why it’s a valuable way to spend your time. Why Is SEO Important for Window Professionals? For any website, regardless of industry, SEO is the best way to gain highly targeted traffic for the long-term. That is, it is a strategy that sets your website up to be a lead-generating machine for years to come. If your website isn’t lining up properly with what your potential customers are looking for in the search engines, they’re less likely to come across your website. Or, if they do visit, they’re less likely to stay and buy what you’re selling. 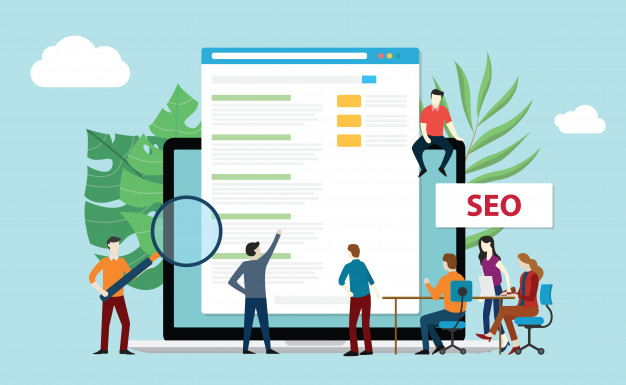 SEO is a process of bringing customers to your website, showing them what you can do for them, and then connecting those customers with you so you can close the sale. Competition for new business is tight in the home services industry, including in the window business. Because of this competition, making sure that what you display on your website is in alignment with your target market's needs is more important than ever, as is aggressively marketing your business. The first key to closing more leads from your website is actually getting traffic to your site. Referral - Traffic from other websites, newsletters, etc. Social - Traffic that comes in from social media sites such as Facebook, Twitter, etc. With most of the sources of traffic - referral, social, and paid - as soon as you stop putting time and money into them, you stop receiving traffic. In the case of organic traffic, however, you will continue to get traffic from your website even if you stop working on it. 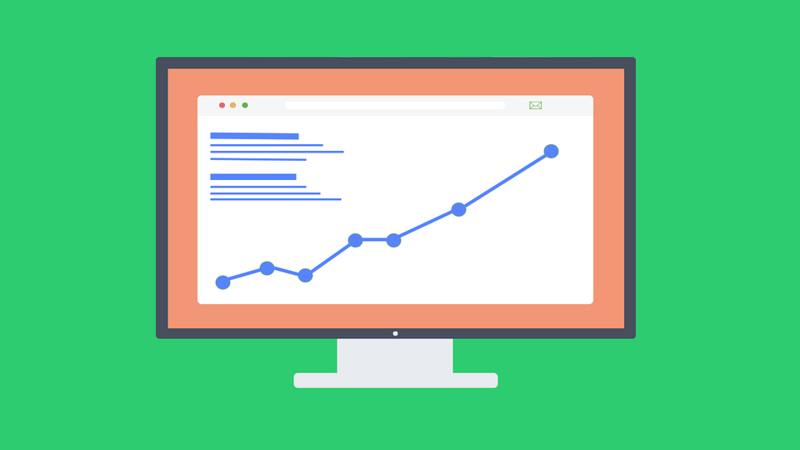 That amount of traffic won’t be as significant as if you were throwing all your efforts into building your organic SEO, but your website still will get some visitors based on your prior work. It’s a good idea to have a comprehensive plan for all sources of traffic for best results, but organic traffic sources are the only ones that will exist as long as your website exists. Getting lots of traffic to your website looks great on paper, but all the traffic in the world isn’t going to do you any good if you aren’t converting those visitors into buyers. When it comes to conversion rates, organic SEO makes up nearly two-thirds of converting traffic on websites. A 2014 study by Conductor found that 64% of all website traffic comes from organic traffic. That means that the other five traffic sources - referral, social, paid, and direct - combine to make up the other 36% of traffic. On sheer numbers alone, organic traffic is going to convert more users. As an example, imagine that your window website gets a 15% conversion rate on both organic and paid traffic. Last month, paid sources brought you 100 visitors, meaning you converted 15 of those visitors into customers. Your organic traffic, however, brought you 1,000 visitors. At a 15% conversion rate, you got 150 new customers out of those 1,000 visits – a tenfold increase in conversions. That’s 150 people signing up for new window consultations, scheduling replacements, and writing you checks. Of all the money you can spend on gaining traffic for your website, the money you spend on organic SEO will bring you a greater return on that investment over time. 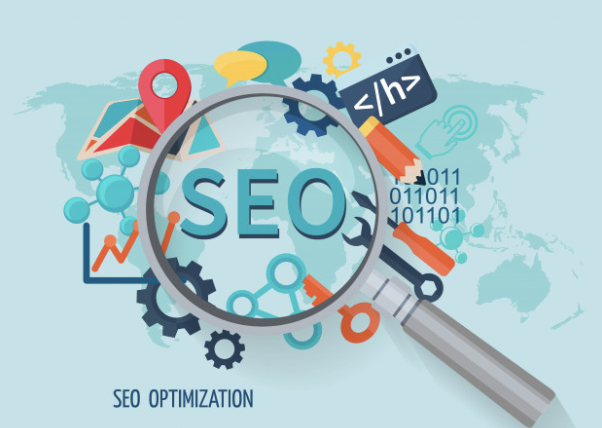 The main reason for organic’s payoff is that the efforts you put into organic SEO form the building blocks of all other traffic for your website. If, for example, you aren’t targeting the right keywords and the copy on your pages is terrible, bringing paid traffic to your site isn’t going to do any good for your conversions. 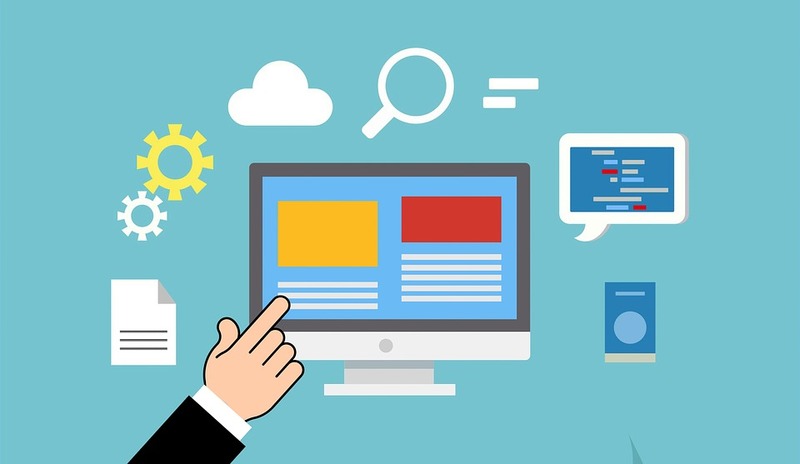 The visitors who arrive on your website from paid sources will just turn around and find another window professional whose website speaks to their needs. Another reason organic SEO pays off the largest is because, as above, organic traffic has the highest, longest-lasting conversion rates. When you put money into building up your organic traffic, you are creating a solid foundation for your website to stand on. Even if you stop investing in organic traffic, you continue to get visitors as long as your website exists. With paid traffic, on the other hand, you stop getting traffic the moment you stop putting money into it. In other words: Your dollar goes farther with organic SEO. With paid traffic, you are paying per visitor your website receives from that source. If you are launching a Google Ads campaign for your window business, you have to bid on each individual keyword you want your ad to be seen for. So, if the price of bidding on the keyword “window replacement contractor” is $20, you pay $20 for every person who clicks on your ad. 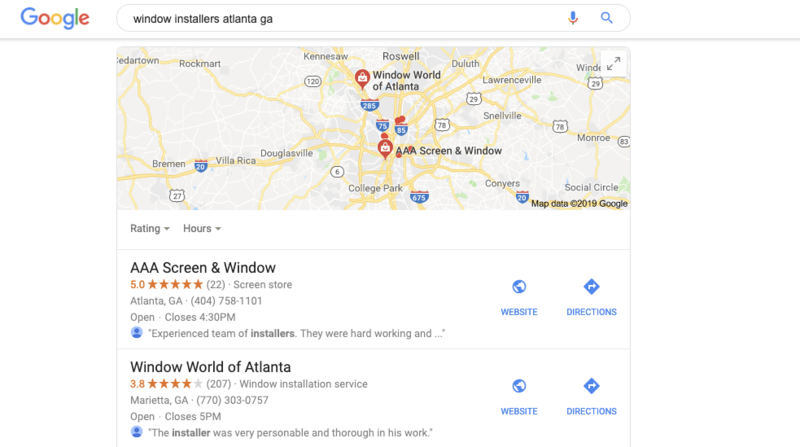 If your Google Ads campaign brings you 100 people who have searched “window replacement contractor” and clicked, then you’re spending $2,000 to get those 100 people to your website. Say that your ad only converts 4 of those people, then you’re spending $2,000 to get 4 customers. And because of the nature of paid ads, you will only get 100 visitors from that $2,000. On the other hand, if you sink that $2,000 into building on your organic SEO, that investment will bring you more visitors over a longer period of time and you’ll get more customers from that investment. Your per-visitor and per-conversion spend rate is far lower, making your overall return on investment far better. The first step to any organic SEO strategy has to be figuring out what keywords you want your website to rank for. Without knowing what keywords you need for your website, any other work you will put into organic SEO will just be wasted time and effort. Keywords are the absolute building blocks of your SEO strategy. 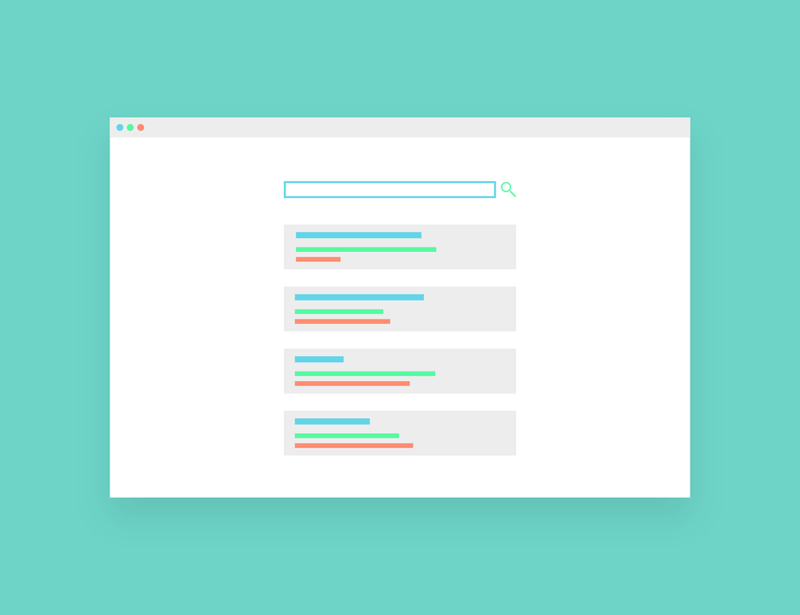 Keywords are the words and phrases that users type into the search engines when they’re looking for a good, service, or the answer to a question. Finding the right keywords for your business is an essential first step toward creating a successful strategy to gaining more traffic and converting more visitors. There are three major types of keywords: Commercial, Informational, and Navigational. For your SEO strategy to succeed, you must choose a mixture of all three types. Informational keywords are the foundational keywords. These are the terms that users search for when they’re looking for answers to their questions or when they’re doing preliminary research (some marketers call this the “Awareness” Stage). Searchers who look for informational keywords are still at the top of the conversion funnel. They’re not yet ready to make a purchase or a decision. They’re gathering information, or they’ve got a problem they’re just beginning to look for the solution to. Targeting these users with specific sales-focused keywords isn’t going to be effective, as they’re not yet ready to purchase new windows. These informational keywords are important for building trust and awareness with your potential customers. You want to be able to answer their questions and become seen as an authority in the window repair or replacement industry, so that your business’s name comes to mind when they’re ready to find a solution to their problems. Use informational keywords to write blog posts, in social media posts, and to create instructional videos or infographics. The next step down the conversion funnel are commercial keywords. People who enter commercial keywords into search engines are aware they have a problem and have some idea of the solution to their problems, but they’re likely still looking for the right business to fill that need. Commercial keywords have a little more action to them than informational keywords. These keywords provide high opportunities for converting users into customers. They connect your business to your visitors’ specific needs, and show how you can fix that need. Use commercial keywords on landing pages for your specific services, and be sure all information is clear and easy to read. Navigational keywords are used when visitors are already aware not only of the problem they need solved, but may even be aware of your business. These keywords are searched when people are immediately ready to take an action, such as making a purchase or scheduling a consultation for a quote. Typical navigational keywords have a geolocation element to them, which helps the searcher find the business that’s closest to their location, making a better match. 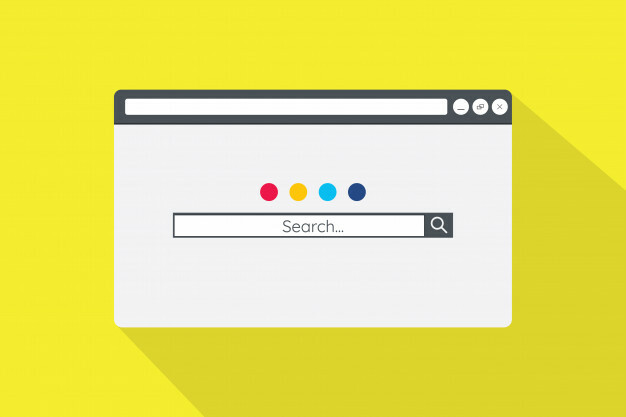 Navigational keywords are used by searchers with very specific, immediate intent; they’re looking for a specific page on your website or want to find the window professional closest to them. If your navigational keywords don’t match up with what your visitors are looking for, they will leave frustrated. Before you spend any time researching the right keywords for your business, you need to start with what you already know. Sit down and make a list of all the terms you think a potential customer could use when looking for your website. That could be “window replacement” or “new windows,” as well as branded keywords such as “Andersen windows” or “Pella windows.” While this list is by no means going to be exhaustive, it gives you a good starting point for your research, as you best know your customers and the things they contact you seeking. After you’ve spent some time making this base list, begin to look for ways you can use each of those keywords to fulfill the three categories of keywords. For example, “new windows” could become “signs you need new windows” (informational), “new window contractor” (commercial), and “new windows in Houston” (navigational). Each seed keyword likely will turn into multiple longer keywords with different modifiers. At the end of this initial process, your list may be quite long. That’s all right! You will add and subtract keywords from this list as you continue through the process. Once you’ve got an initial list of keywords that may be right for your website, you need to test and see if these keywords are worthwhile to spend time targeting. The quickest way to research the keywords on your list is to run them through specialized keyword software, such as Ahrefs, Moz, or SEMrush. These platforms provide you with a great deal of information and data, including which ones your website already ranks for, the relative search volume, which keywords your competitors rank for, and how difficult it may be to rank on the first page for a given keyword. However, there is a monthly subscription fee required to use this specialized software, but they are well worth the cost to be able to find the best keywords for your window business. Keywords Everywhere: Simply add this Chrome extension to your browser and it provides data on every search term you type into Google. You will need to test each keyword individually, but you can collect the search volume on any of your potential keywords for free. Google Trends: There’s no question that Google collects a great deal of data on all searches and web pages. Using Google Trends, you can see the relative popularity of a search term over the last 12 months. In addition, you also can get suggestions for related keywords you may not have thought of initially, as well as data on them. Wordtracker Scout: This Chrome extension scrapes individual web pages and pulls the most relevant keywords on each one. Use it on your own website to see what keywords you’re already using, or run pages of competitors’ websites through it to find out what keywords they use. As you’ve tested your initial keyword list, you’ve likely added some terms you hadn’t thought of at first and removed some that the data didn’t back up as being relevant. So far in the keyword research process, you’ve thought about the most relevant keywords for your business and gathered data behind those keywords. While your list has grown and contracted some, there’s still room for refinement. Now take your list and look for all the long-tail keyword possibilities. Long-tail keywords consist of consist of three or more words, which helps you narrow in on the most pertinent search terms for each type of visitor. Many long-tail keywords will end up being informational, giving you great jumping-off points for blog posts and other instructional content. If you have a subscription to a paid research tool such as Ahrefs or Moz, all you have to do is plug your seed keywords into the platform and let the software do the rest. You can also run entire URLs through these tools, whether they be your own or your competitors’, and see what keywords are already ranking. Answer the Public: While there are premium features and unlimited searches available with a paid monthly subscription, you can still perform highly effective keyword research using the one free search per day. Add in your seed keyword and the tool gives you a large selection of related short- and long-tail keywords, including a variety of great questions that you can use to craft blog posts. Bonus: Export all the keyword suggestions directly into a CSV file for easy sorting down the road. Google Correlate: This tool is technically part of Google Trends, but its usefulness makes it worth mentioning separately. Just enter your seed keyword, such as “replacement window,” and the tool gives you the 10 most relevant related keywords. By clicking “Show More,” you can see additional suggestions to build out your list even farther. At this point, you’ve likely got a very large list of keyword ideas. From this point, you need to figure out which ones to focus on with certain pages on your website. Get out the list you’ve compiled so far. Perhaps it’s taking up several sheets of notebook paper, or it’s a large spreadsheet on your computer. Chances are it holds a large number of keywords ranging across all three types. You may look at the list and wonder: How in the world will I put every one of these on my website? Don’t worry, you don’t have to worry about all of them right now! Take your master list and sort the keywords by type and priority to your business needs. This will help you direct your SEO efforts so you start with the ones that are most important or will have the biggest impact on your business. First, sort the keywords into informational, commercial, and navigational categories. Take each of those lists and decide which keywords are your “money” keywords, or the ones that are most likely to bring in the most traffic. The keywords that most align with your window business’s products and services, as well as your goals, should be at the top of the list, and the ones that are only slightly related should be closer to the bottom. The keywords that you’ve listed toward the top are the most important for your business, at least at this point. They need to be monitored and tracked. Once you’ve figured out the keywords that are most important for your window business and the goals you hope to achieve, you need to track how well your website is ranking for them. If you’ve created a marketing strategy but aren’t collecting data to see which of your efforts are working the best, you’re just making your best guesses. This can lead to wasted time and money, and losing out on new customers. 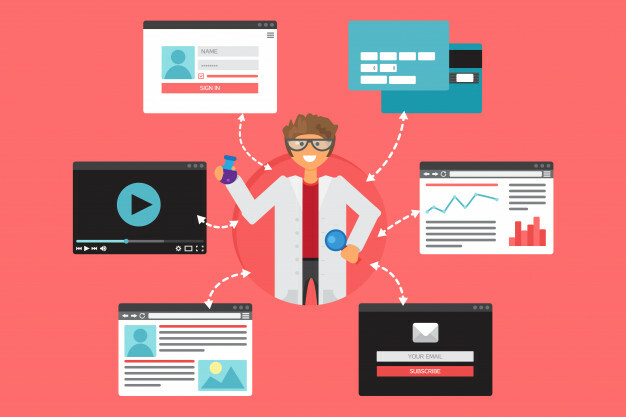 SEO is a constant process of testing a method, gathering data to find out what works and what doesn’t, and re-adjusting your strategy based on the data. Tracking your keywords is an essential part of the SEO process. Tracking how you rank for specific keywords through Google Analytics is free, but the process is cumbersome. For faster, less frustrating keyword tracking, consider a subscription to Rank Ranger or another software platform that lets you enter the keywords you want to track and gather data on those rankings. Now that you’ve got your most important keywords nailed down, it’s time to begin tackling all those tasks on your website that will help improve your position in the search engine results pages (SERPs) for those keywords. The title tag is the title of the page as it appears in the SERPs. Each of your pages needs an individual title tag, and should include relevant keywords where possible. The SERPs limit title tag displays to 50-60 characters. Fit as much as you can into that character limit without going over. Don’t stuff as many keywords into the title tag as possible. Pick the most relevant keyword for each page and use it. Put the important information as close to the beginning of the title tag as you can. If you want the page to rank for “new windows,” craft your title tag so that keyword is near the beginning. Use your brand name in the title tag, if space allows. This helps users know up-front what website they’re clicking on when they see the listing in the SERPs. While your page’s URL may not directly impact its rankings, a user-friendly URL is an important part of good SEO. By adding the keyword into your URL, and keeping the structure as simple and logical as possible, users have a better experience on your website. Much like the title tag, stick to the basics and use your most important keywords first. When writing the content for your website, make sure your headings - H1, H2, and H3 - use your main keyword and variations of that keyword. Be sure to use your page’s main keyword in the H1 tag, and put it as close to the beginning of the heading as possible so things still feel natural. Improve user engagement and experience with your pages by including relevant, interesting images. If possible, take your own images of the products and services you offer, but even royalty-free stock images work in a pinch. When uploading your image, you can edit the image’s alt text to include your page’s keyword. Use only one keyword - the one you’ve determined is most important for that page - in the alt text. The body copy of your page is where the magic happens. Don’t write like a robot. Keeping the SEO friendliness of your copy in mind is important, but it’s even more important that your copy sounds like it was written by a human. Keep your users in mind. Every page on your website should be informative, easy-to-read, and find a solution to problems your users have. Don’t add keywords because you think search engines will like them. Use your keywords as many times as it makes sense, but don’t just shove keywords together to fit them all into your page. A good rule of thumb is a keyword density of 1 to 3 percent of your page. Use variety. If you need to repeat your main keyword but don’t want to repeat it, use an LSI (Latent Semantic Indexing) keyword instead. Search engines can understand that all the terms are related. Include calls to action. No matter what kind of copy you’re writing, always include a paragraph or phrase that leads the user to take some kind of action. Whether you want the user to view your online catalogue, get a free quote, or sign up for an in-home consultation, be sure that you include at least one call to action per page. When you look at the SERPs, each result includes a short paragraph under the title. This is a great opportunity not only to include your important keyword, but also direct the user to take an action. Meta descriptions are limited to 160 characters, so use only the important information. Use your main keyword in a natural sentence, and don’t stuff in too many keywords. When you’re writing the copy for your website, be on the lookout for opportunities to include links to other pages on your own website as well as to external websites. Link to your Homepage the first time you mention your business’s name. When you discuss your team’s skill and experience with window installation, link to your About or Team page. Create lists of related blog posts on the same general topic, such as choosing new windows or signs you may need new windows. If you’re using a statistic, find an official website or study that includes that statistic. Link to licensing or credentialing bodies your window company may be a part of. Create a page of local government or other community resources in your area and link to their websites. If you sell specific types of windows, link to the official websites of those brands. Your user’s experience using your website is just as important to maintaining visitors and converting them into customers as what you actually say. Keep all copy clear and readable, and break things up into smaller paragraphs wherever possible. Use bullet points, headings, and numbered lists if you can. Also, add in images, video, infographics, and other elements that give all the vital information in a different format. Your users will appreciate the additional thoughts for their experience on your website, and if they can find the information they want easily, they’re more likely to become a customer. Not everything you write will be viral content, but making it easy for users to share the content they do find interesting is important to driving more traffic to your site. Be sure that your website’s blog or news section includes social sharing buttons, at minimum. This way, if a user does find something interesting they would like to share with their own Facebook or Twitter feeds, it’s quick and easy for them to do so. You can’t use the same exact keyword every single time you want to. Your copy will get repetitive. Instead, use LSI - Latent Semantic Indexing - keywords, keywords that are semantically similar to your target keyword but different enough that you aren’t repeating “window installation” over and over again. Put your focus keyword into a website such as LSI Graph. It’s free to use and gives you lists of LSI keywords for each of your main terms. Being found on your website isn’t enough to really make a difference to getting new customers. You need to be able to be found in other places, such as Google My Business, Yelp, and the like. Creating listings on other websites decreases the amount of time and effort potential customers need to find the information they need to contact you, increasing your chances of getting their business. Not only do off-site listings make it easier for your customers, your off-site presence plus the work you’re doing on your website adds up to improve your website’s rankings with the search engines. Don’t forget to take some time for off-site optimization for best results! The places online where your business is listed, such as Google, Apple Maps, and Yellow Pages, are called citations. There are all kinds of window professional-specific databases and websites, so do some research to find the ones most relevant to your business and get listed on them. While it may not be the way you would look for someone to replace your windows, many users do still search through these online databases when beginning their search for a contractor. Just keep in mind that not all citations are free, and it can take some time to create listings on several of them. Making sure that everywhere your website is listed online - your website, social media sites, and these citations - have the same information is crucial to customers being able to find you. Checking for NAPW - name, address, phone number, and website URL - consistency across all the places your business is listed is the absolute bare minimum off-page optimization you should do. As you searched for some of these online directories to get your site listed on, you likely found your business already listed on some of them. Making sure that your NAPW is the same on all of them is important, as is correcting any inaccuracies. Having incorrect information in your citation listings can hurt your SEO. Trust is an important factor in business, especially if you want your customers to spend their hard-earned money paying for your window services. Part of the way you can build this trust is by getting reviews from happy former customers on platforms such as Google and Facebook. If your business doesn’t already have a lot of reviews on your work, you and your employees need to work on a plan for encouraging customers to leave them for you. Ask for reviews in person, send out a direct link to your Google reviews profile with the final invoice for service, and make requests for reviews prominent on your website. Just don’t offer any sort of compensation - a discount, a free gift, or entry into a prize drawing - for leaving you a review. This violates the terms of service of many review platforms, including Google, and can get your business’s entire profile shut down. Responding to your reviews professionally shows your customers that you value everyone’s feedback, good and bad. Dedicate someone on your team to respond to each review you get. This extra step will help you stand out from the crowd. Thank the reviewer for their feedback and point out specific things mentioned to show you read the review. If you get a negative review, don’t argue with the customer. Apologize for the inconvenience caused by their experience and offer to discuss their feedback in person. Juggling multiple locations is difficult not just from a business logistics standpoint; it can also be a headache for your SEO! Create individual pages on your website for each location, being sure that each location’s address, phone number, and opening hours is listed. Embed a Google Map and directions onto the page as well. Claim and optimize your Google My Business listing for each location. Each site has to be verified by postcard sent to the location, so be sure the information is correct and that the location can receive mail. Check NAP consistency for each site. Add photos of each individual location. This helps Google see that you operate from more than one location and you aren’t just claiming you have multiple sites to gain more business. Check that all business categories are the same. There are a variety of options you can use, including “Contractor,” “Window Installation Service,” and “Window Supplier,” depending on the services you offer. Now that you’ve got your website’s on-page SEO all set, and you’ve built a quality off-site presence, it’s time to work on building links between your website and other websites. While it may seem strange that the websites that link to your site can impact your SEO, the links you get can have a positive or negative impact on your site’s performance in the SERPs, depending on the quality of links you get. A backlink is like a little vote of confidence from the other website. Search engines think that, if another website values the information you provide enough to link to your website, then you deserve a little boost in the rankings. The more trusted the website that links to you, the bigger the boost your website gets. Specialized SEO research tools such as Ahrefs, SEMrush, and Moz can show you the current backlink profile of your website, letting you see if those links are ones you want to keep or if you want to have Google disavow them. You also can run your competitors’ URLs through these tools to see their backlinks profile, giving you ideas of websites to reach out to when looking to build new links. If you already work well with other businesses and organizations in your community, reach out to them and ask for a link. This is one of the easiest ways to build backlinks, as you already know and work with these businesses. Send an email, make a phone call, or strike up a conversation in person and ask for a favor. If you offer a reciprocal backlink to their website, you may find people more receptive to your offer! If your business has been around for a while, it’s likely you’ve been mentioned on other websites without being linked to. Whenever you find these instances, reach out to the website and request a link to your website. Again, offering a link to their website in exchange may sweeten the deal enough to earn you the backlink. Get your window business’s name out there and build new relationships throughout the industry by offering to guest post on other websites. Reach out to other local contractors, real estate agents, financing providers, or home inspectors and offer to write a blog post or column on a topic related to your business. They’ll link to your website in the author biography, and you’ll have a great piece of content you can promote on your social media. Have you created a great infographic, video, or downloadable that might be valuable to other websites? Reach out and offer it up to these websites in exchange for a backlink. If you’ve got a great infographic about identifying if your windows are in good condition, home inspectors and real estate agents may be offer that to their visitors, and you get a link in exchange. Everyone loves to think they’re influential or important in their industry. Create a listing of local real estate agents, for example, with information on each person. Reach out to all those agents letting them know about the mention, and ask if they’ll promote your piece of content on their websites with a link to the post. Many communities offer home shows or renovation expos. If your business will be displaying at or sponsoring such an event, ask the organizer if they’ll link to your website in the online information about the event. You can steal some of the boost that your competitors get from backlinks from other websites by analyzing their backlink profiles. Make a list of the more desirable websites in their profiles and reach out using one of the methods mentioned above to see if you can grab a backlink, too. Your website is one of your business’s most valuable assets. Making sure it’s well-optimized to bring in and convert the most traffic as possible is vital to helping your business grow and thrive in the face of increasing competition. If you aren’t working on your website, letting your competitors get ahead of you by getting more of the online visitors, you’ll be behind before you ever start. With a little extra work and effort, you can get your website’s SEO on the up-and-up, helping you get the edge you deserve. Whether you’re looking to put windows in new builds, replace aging windows, or want to get your customers’ windows in the best condition possible, trust the quality design and construction of Sunrise Windows & Doors. We provide only the highest reliability and quality in the business, so you can be sure you’re giving your customers the best. Become a dealer today!